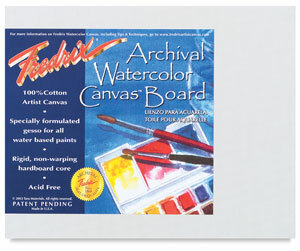 Reader Question: I have some regular stretched canvas used for oils and acrylics. Do I have to do anything to the canvas in order to watercolor on it? If you want to paint with watercolors on a canvas that would normally be used for oils or acrylics, then you will need to prep it first. Gesso your canvas first as normal. 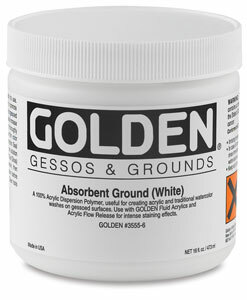 Gessoing first is an important step to allow the Golden Absorbent Ground to adhere properly to the canvas. Two coats of gesso are recommended. 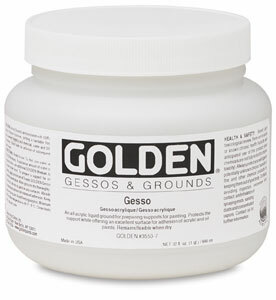 After the gesso has dried, apply a thin layer of Golden Absorbent Ground using a brush or a roller. Thin layers are better than thick ones, because thick layers may crack. The more coats you apply, the more absorbent the canvas will become. For the high absorbency needed to accept watercolors, apply 5-6 coats of Golden Absorbent Ground, allowing each coat to fully dry before adding another. 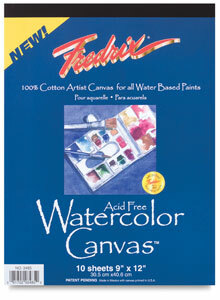 After the ground has fully dried (give it at least 24 hours), you can now paint with watercolors on your canvas. Cool! Golden Absorbent Ground will give the canvas a paper-like quality that watercolors can easily stick to. Once applied to the canvas, the watercolors will still remain sensitive to water, so be careful about accidentally spilling or spraying water onto the surface of the canvas. When the painting when is finished, seal it with a spray varnish to make the painting waterproof. You may need to do more than one coat to make it fully waterproof. You can then hang the painting as-is or frame it under glass. 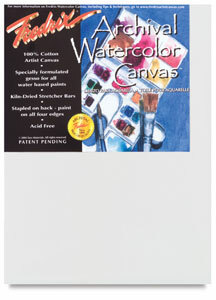 If you like painting with watercolors on canvas, another thing you could try is painting on watercolor canvas, which is a special type of canvas that is made for use with watercolors. You can read a bit more about watercolor canvas here. Hope that helps & Happy Painting! Return to Watercolor Painting Tips and Techniques.